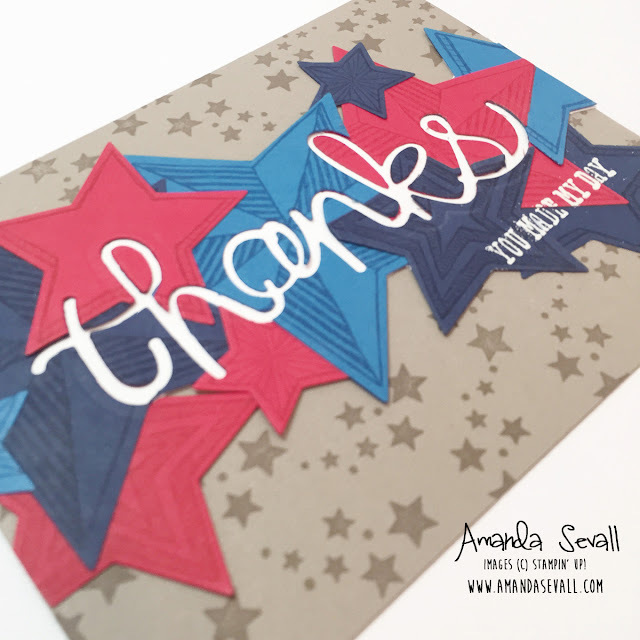 Amanda Sevall Designs: 365 Cards: Thanks You Made My Day! In honor of the upcoming 4th of July holiday, here's a fun (not quick!) card I made! To make this card, I stamped a bunch of stars, glued them all together, and then ran them through my big shot to cut out the word "thanks." I then backed it with a scrap strip of Whisper White Cardstock to make the word stand out on the card. Love, love, love this card idea Amanda! I never remember to use the word framelits to cut out negative like this! Wow - really cool! I thought the sentiment was sitting on top at first glance, but now I can see that it's cut out. 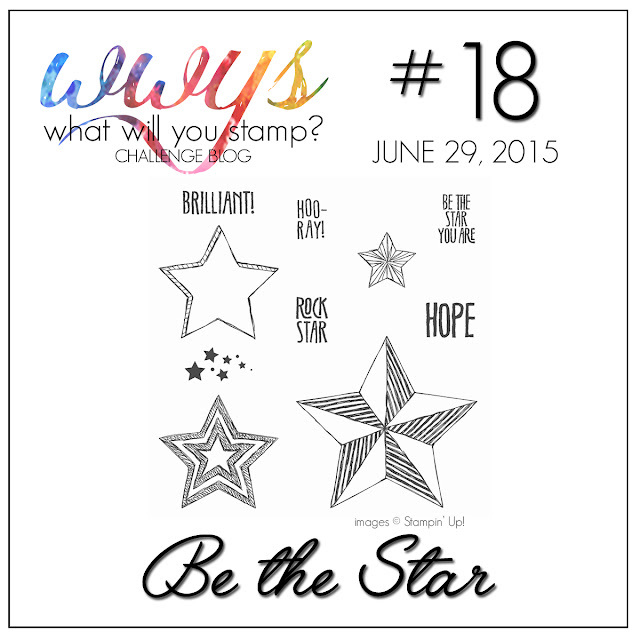 I'm impressed that the embossing worked so well on an uneven surface, too.